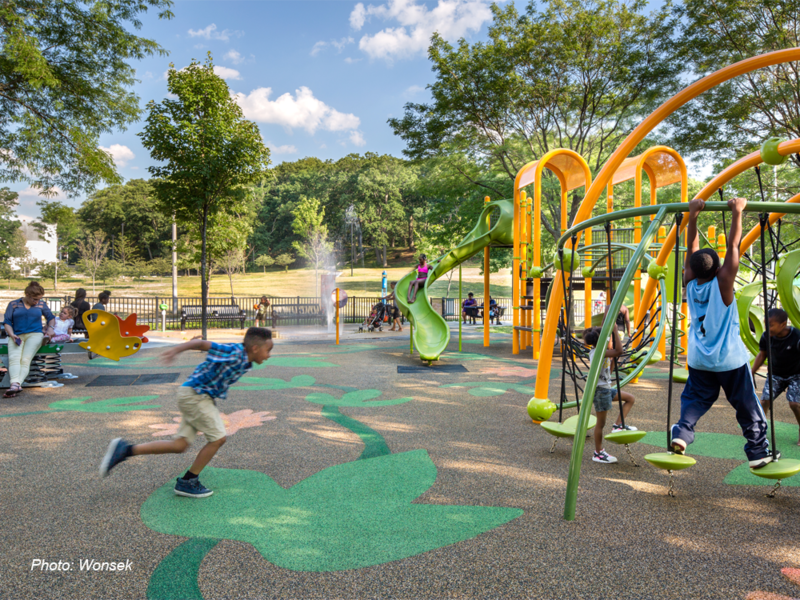 CBA prepared a master plan for the entire 17-acre Almont Park with a total budget of $3.8m, which was then completed in 3 phases of construction. 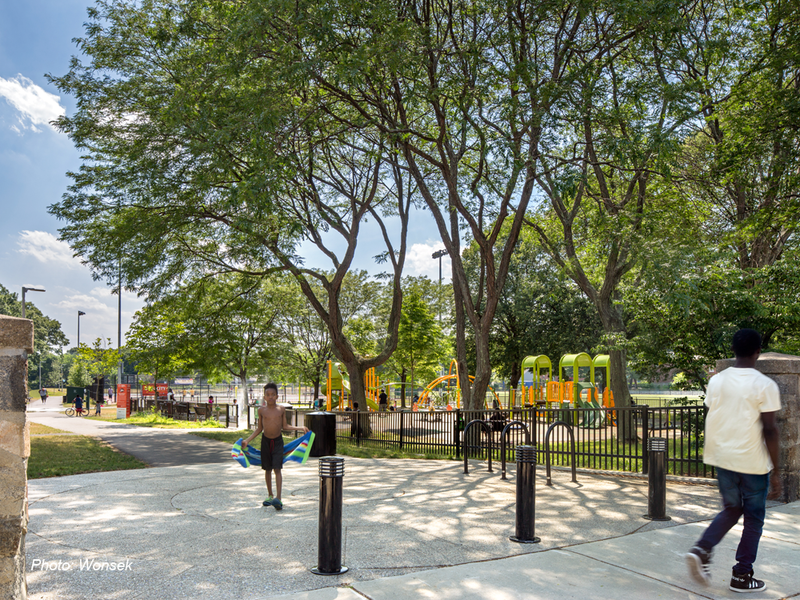 Phase One of the Master Plan for Almont Park is the new Tre'Vaughn Matthews Play Lot. 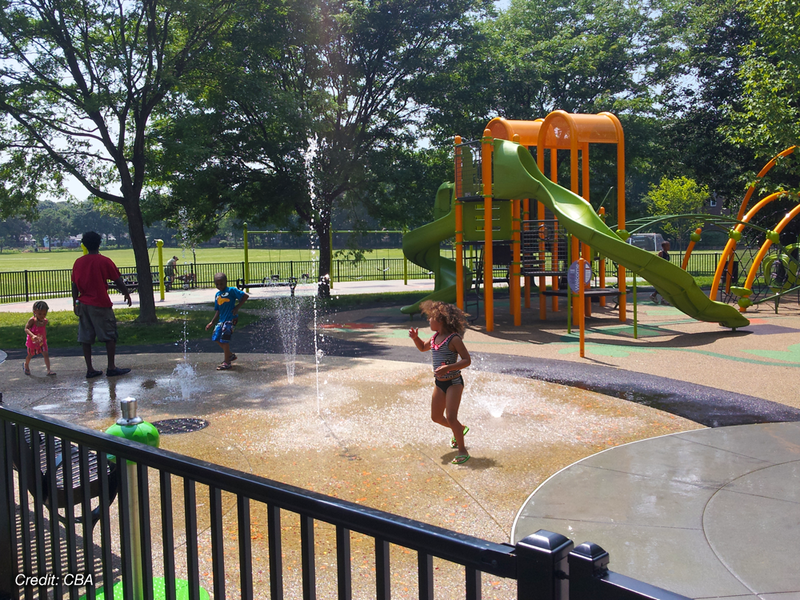 Featuring brightly colored play structures, rubber safety surface with a tropical vine and flower pattern, and a splash pad on decorative concrete, the play lot beckons from under the shade of mature trees that were carefully protected during construction. Phase one was completed in 2013. 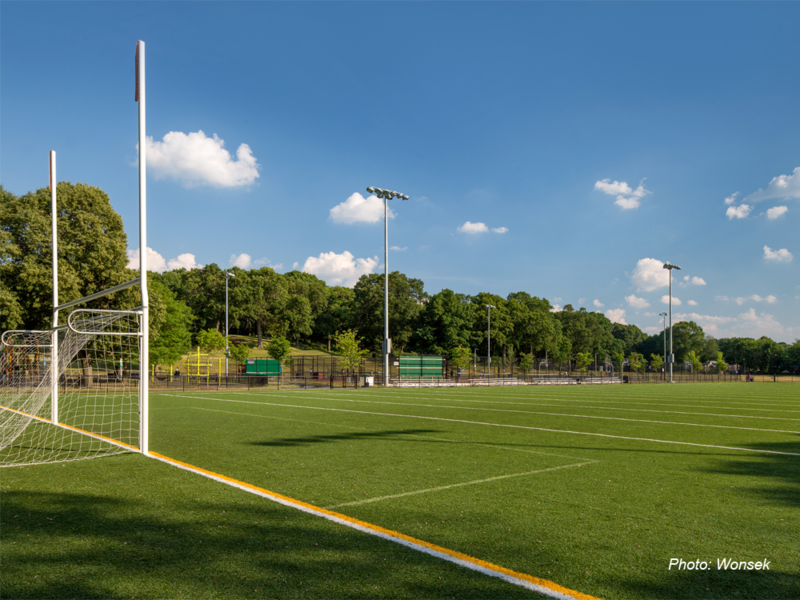 Phase Two, featuring new tennis courts and a synthetic-turf football field, fencing, outdoor fitness equipment, and sports lighting, was completed in the fall of 2014. 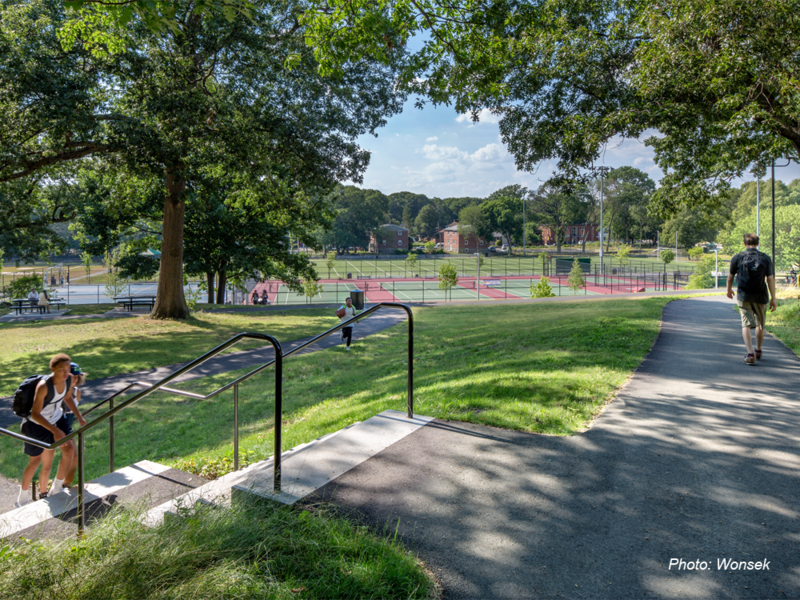 Phase Three included the renovation of a shared cricket and little league field, new basketball courts, a renovated picnic area and pathways on the wooded hillside, new parking areas, and extensive pedestrian and area lighting using energy-efficient LED fixtures. 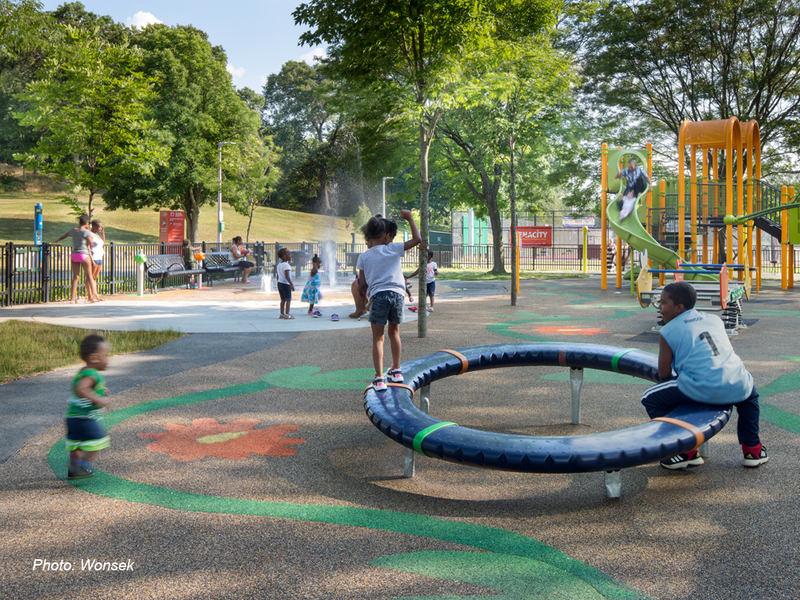 Phase Three was completed in the fall of 2015.